There are some millions of mobile applications across the web, and it is tough to stay from the millions of apps across the web. So, it is important to promote your application through various online platforms. Many app promotion campaigns are available through the Google Adwords that can be helpful for better app promotion. 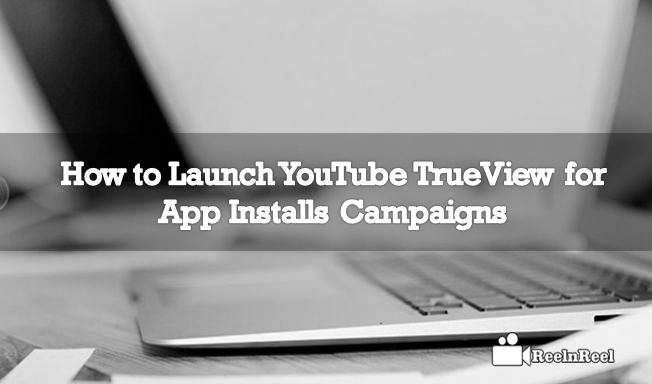 Well, let us explore the things about launching the YouTube TrueView for App Install Campaigns. Advertising on Adwords starts with the creation of Campaign. You can choose the type of campaign basing on the advertising goals. • Search network campaigns appear in the Google Search results as well as on Google sites. • It will be issued in the search results at the top of search results when people search for a particular term or with a keyword. • The search network campaigns are focused on people to take action by clicking the ad. • By using the right keyword in your ad that can match the search of your relevant app can be more helpful for you to increase your app installations. • By clicking on your search network ads, people will be directed to the app installation page, and as a result, you can boost the installations through these campaigns using Adwords. • These campaigns target the people who are actively searching for the information. • These type of ad campaigns are the best for product oriented or service oriented. You can also utilise for your App promotion too. • The shopping Campaign ads can bring a retail ad touch to your app promotion. However, they are designed for the products selling. • These campaigns allow the advertisers to create a campaign and efficiently manage the same along with the ad scheduling feature. • You can also target the ads basing on the location and management of the keyword creation and management. • The conversion management was the new feature in this type of Ad campaign. • They are very straightforward and easy to manage. • You can start the Adwords video campaign by signing in to Adwords by clicking on campaigns and choosing the type of campaign. • You can promote your video campaign on your App installation or more about your app for the promotion of same. • You have understood about the different Adwords campaigns that are available for online promotions. Let us discuss the TrueView for App installation campaigns. • You can utilize the TrueView campaigns for your App promotion using the YouTube platform. • By using the TrueView campaigns, you can display your Ads to the right people who are interested in your app related content. • TrueView can bring good awareness on your App with the App installs campaign. • It can boost the awareness of apps with the best content that can grab the customer attention online. • TrueView App installs campaign consists of TrueView Discovery and the in-stream Ad formats. • The ads will appear on the YouTube Mobile and Tablet applications. • You can also set some device settings; you can also setup the device settings and can place your ads with other targeting options to reach the right audience across the platform. • For the promotion of your mobile application using the TrueView, you have to enter your App name and the YouTube video. • So you can send to the targeted people towards your App store to download the app from the advertisement. • The Android version will be different from the iOS. The conversion and targeting tracking will be depended on the operating system you are using for your App. • You can also show the advertisements in various formats with optimization of the App promotion. • The App details like name, price, and ratings can be displayed next to the video ads and were visible during the Ad preview. • In Target CPA, you can set the amount you want to pay per install, and your bid will set automatically and boosts the conversion rate at the possible rate for the target of cost per acquisition. • For bidding more efficiently, Adwords will find the people who are likely to engage with your Ads. • The Adwords change your ads by using the cost per thousand impressions while billing your bid. • Sign in to Adwords Account and click on a campaign and select video. • After selecting the ‘Mobile App Installs’ enter the URL next to your mobile app from the Google Play store or Apple App store. • It allows people to install the app directly from the video ad you have created for the campaign. • The iOS and Android versions require a different setup. • Select the bidding types for your bidding strategy. You can select the type by entering into the bidding section. You can either select Target CPA or Maximum CPA. • Enter the daily budget and choose the targeted languages and areas or locations where Ads must be shown in YouTube video network. • Consider the targeting options by targeting the device models and OS. Ad words will show your ads automatically on the devices that are compatible with your Application.